Dr. Triplett ensures owners have the strategies and processes to grow better sales and scalable businesses or to create and implement a way to exit profitably. She sometimes functions as Virtual Marketing and Sales Manager or an alliance and funding partner. She also directs the mentoring and business advocacy and connection building for clients. She is the author of The Networker’s Guide to Success available for the IPad, Nook, and Kindle, and co-author of Easy to Be Green and Thinking Big, Staying Small. She has been a presenter and mentor SXSW Interactive, and SXSW V2V, SXSW Eco and Food+City Startup Challenge since 2017. 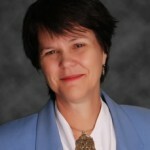 Triplett is a guest expert for Business Bank of Texas Resource Center, AllBusiness.com and Alignable. She writes “Wisdom Wednesday”, a short column each week that is published on the Business Success Center Facebook page. She was an Austin Business Journal “Ask the Expert” and a member of the National Speakers Association and is a national and internationally recognized keynote speaker. She is an Adjunct Professor in Business and Professional Skills at Mary Baldwin University, her alma mater where she teaches accounting and finance and governance to MBA students. See slides from some of her presentations on . Mr. Diener directs the creation of financial projections and funding requirements for clients seeking loans, partners, or investors. He designs, implements, directs and monitors the Human Resource portion of client’s businesses. The Small Business Administration named him as the Regional Financial Services Champion. 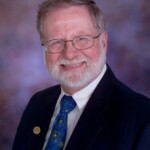 He is the author of several training tools for the oil and gas industry and an award-winning program developer. He is the creator of several financial systems software tools and client management databases. Ms. Teague works with Mr. Diener on financial management processes for clients. She also sets meetings and maintains contacts with clients, prospects, and the media. Business owners interested in meeting with Dr. Triplett or Mr. Diener or in an internship, should contact Ms. Teague. Meet our PMAT™ partners. These are vetted business experts that we recommend to our clients and work with as a unified advisory board. We are also members of the Austin Independent Business Alliance and Texas Freelancers Association and we serve on the board of Students In Free Enterprise at Texas State University.